If you’re reading this article, chances are you are either using or considering using Alpha Brain, the popular nootropic stack from US company Onnit. Congratulations – you’ve made a good choice. Clinical trials and thousands of positive reviews can’t be wrong! Alpha Brain promises a whole host of cognitive benefits, including sharp focus, improved memory, better motivation and even more lucid dreams. But realistically, what should you actually expect to gain from taking Alpha Brain? And what can you do to make sure you get the most out of it? Memory and Learning: Alpha GPC and huperzine A work synergistically to increase the production and availability of acetylcholine, one of the most important neurotransmitters involved in cognitive function. Increased levels of acetylcholine allow more efficient memory formation and recall. L-tyrosine is also thought to contribute to Alpha Brain’s memory boosting effect by increasing levels of dopamine, while vitamin B6 is an important ingredient for a wide range of neurotransmitters. Use of Alpha Brain has been found to correlate with changes in the frequency of brain waves, which correspond to “healthy cognition, attentiveness, and inhibition control.” It is reasonable to expect that the combination of ingredients in Alpha Brain will not only improve your memory, but also your ability to focus, reason and perform calculations. Mood: L-tyrosine can increase dopamine levels, which helps modulate mood, while theanine has calming, anti-anxiety effects. Oat straw and Bacopa are also said to reduce stress. This combination can help mitigate the effects of all types of stress, including social anxiety. In fact, improvements in verbal memory can also help improve social confidence by facilitating better conversational skills. Alpha Brain helps promote better sleep. Sleep: Many Alpha Brain users have reported better sleep quality. The relaxing effects of L-tyrosine and oat straw likely play a role in making it easier to fall asleep, particularly for those suffering from insomnia due to stress. Alpha-GPC increases levels of acetylcholine, which regulates REM sleep – the phase in which we dream. This mechanism may be responsible for some users’ experience of more vivid, memorable dreams. Vitamin B6 and theanine may also contribute. Brain health: Alpha-GPC and phosphatidylserine are both precursors to cell membrane phospholipids, helping to maintain and regenerate healthy neural cell membranes. Vinpocetine is a potent vasodilator and anti-inflammatory that increases blood flow to the brain, resulting in more effective nutrient delivery and metabolism. Huperzine A has even been shown to increase levels of nerve growth factors and stimulate proliferation of certain neural stem cells. Pterostilbene has potent antioxidant properties to protect neurons from free radical damage. AC-11 has been proven to aid in the body’s DNA repair mechanisms and may slow neuronal deterioration. There is evidence to suggest that many of the ingredients in Alpha Brain can actually slow, prevent or even reverse mental deterioration as we age. Should I Expect Any Side Effects? The definition of a nootropic requires that it has very low toxicity, and Alpha Brain certainly falls into this category. It is very safe with minimal risk of side effects. However, some people can exhibit sensitivities to even the most natural ingredients. Some users have reported headaches, which are thought to be due to the increased level of choline in the brain in many cases. Also, any product that alters mood, focus and alertness can sometimes produce effects that may be perceived as negative. If you find that Alpha Brain makes you feel jittery or restless, irritable or nervous, then maybe it isn’t the supplement for you. Some people can be sensitive to the ingredients of Alpha Brain and may suffer from headaches. For mild side effects you might consider continuing to take the supplement for a while to see if they subside. Alternatively, you could consider stacking Alpha Brain with other supplements that might help mitigate these side effects (see the next section). But if they persist or are uncomfortable, it may be best to reduce your dosage or discontinue use. Prevention is better than cure, and to reduce your risk of side effects you should start with the lowest dose of Alpha Brain and gradually build up to the higher end of the dosage range if you desire stronger effects. If the headaches persist, then you may need to stop using this memory supplement. While it is wise to be aware of the potential side effects and take steps to minimise the risk, it is very unlikely that you will experience negative effects. Can I Stack Alpha Brain with Other Nootropics? One of the features that draws many people to Alpha Brain is its all-natural formulation – it contains no caffeine and no synthetic ingredients. However, this means that it is missing some of the most potent nootropics. If you are looking for a stronger nootropic effect, you may wish to stack Alpha Brain with other nootropics. In particular, stacking Alpha Brain with a racetam is likely to really potentiate its effects, particularly in terms of immediate effects on concentration and focus. If you haven’t used a racetam before, the best starting point is piracetam. However, if you want a powerful cognitive enhancing effect, oxiracetam, pramiracetam and the racetam derivative Noopept provide stronger effects. Aniracetam is a good choice for mood enhancement, while phenylpiracetam appears to have the strongest effects on physical performance. Many racetam users have found that the headaches that can sometimes be associated with their use can be reduced by stacking with Alpha Brain. If you suffer from anxiety, Alpha Brain is likely to help. But if its effect is not sufficient, or worse still, if its use causes anxiety, then stacking with Picamilon, Inositol, Phenibut or extra theanine may be of use. 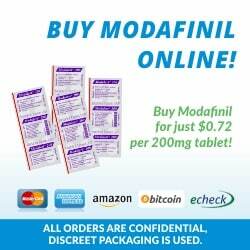 Using Alpha Brain along with Adrafinil, Modafinil or Sunifiram can really gear you up for serious study sessions or those days when it just seems like there’s too much to do! Or you might just like to keep it simple and try combining Alpha Brain with good old caffeine! This stimulant is likely to potentiate the effects of a few of the ingredients of Alpha Brain, particularly L-theanine. How Should I Take Alpha Brain? Onnit is recommended for adults 18 years and over. While Alpha Brain’s ingredients are very safe for healthy people, if you are under 18, suffer from a medical condition or are on long-term medication, you should check with your doctor before taking it. The standard dosage of Alpha Brain is 2 capsules daily, with a range of 1 to 3 capsules. Best practice is to start with a lower dose, assess the effects, then decide whether you want to increase. Take Alpha Brain every day to make sure you reap not only the short-term but also the long-term benefits associated with healthier cell membranes, increased neurotransmitter levels and anti-inflammatory effects. For day-to-day activities, take Alpha Brain in the morning with a healthy breakfast. For effects on sleep, take 1-2 capsules 4-6 hours before going to sleep. Some people maintain a low dose routinely but increase it when they need an extra mental boost – for example, during exams or for an important presentation or meeting. As long as you never exceed the recommended daily maximum dose of four capsules, you can always take an extra capsule with a light meal at any time in the day if you need to. I was just wondering about alphabrain,is it legal and where can I puchase it from? Hi Trent, Alpha Brain is definitely 100% legal in Australia. It isn’t quite as strong as Nootropics like Piracetam, nevertheless it is still very popular and certainly does have a great nootropic effect. We’ve had many readers of this website provide positive reports from using it. The best place to buy it is directly from Onnit the company that make it: https://www.onnit.com/alphabrain/. can i take alpha brain with phenylpiracetam? which racetam i can take with alpha brain for better learning and focus,concentration? Is it safe to add a 300 mg alpha gpc with alpha brain? Alpha Brain uses a low dose of gpc and I want to add to it. It should be fine, but definitely experiment and see how you go! It will also likely depend on your diet, for example Eggs are very high in Choline, so if you are consuming eggs regularly then your need for Choline from Alpha-GPC will be reduced. I know many people supplement Choline Citrate, or Alpha-GPC at all times regardless of other supplements they are taking, so it should be fine! Can I take alpha gpc with alpha brain? Alpha brain uses low levels of gpc. It says everywhere to take 2 pills daily. Does that mean 2 in the morning or one in the morning and another in the evening? I just starte taking them today. One in the morning, and now the second before I go to bed. I just read that that might be a bad idea…unless I wanna dream about Smaug buttfucking my kindergarden teacher. thoughts? I’ve started keto a month ago, and been experiencing a flu like symptoms and brain fog. Sometimes, a very painful headache. Is this alpha brain Ok to take, even if I am in keto diet? please let me know. Thanks.